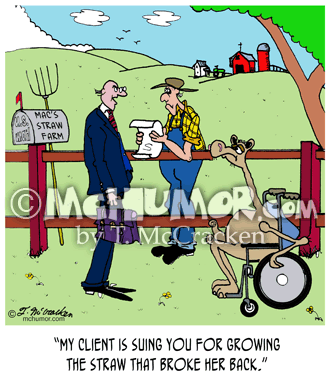 Farm Cartoon 4804: A lawyer with a camel in a wheelchair saying to a farmer, "My client is suing you for growing the straw that broke her back." 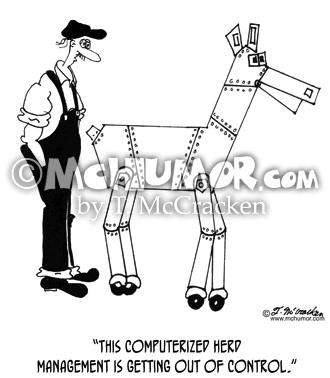 Llama Cartoon 5600: A rancher looking at a robot llama says, "This computerized herd management is getting out of control." 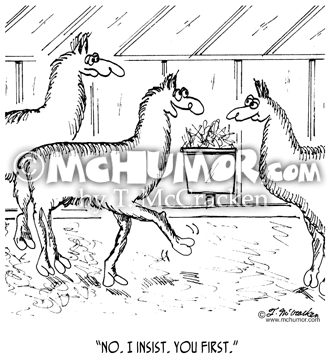 Llama Cartoon 7138: Llama at hay bin to other, "No. I insist. You first." 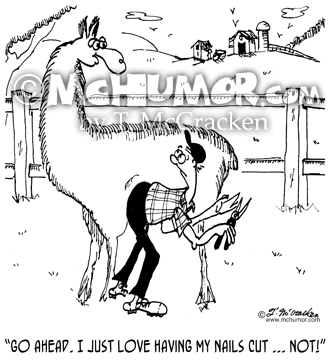 Llama Cartoon 7140: Llama to farmer with nail trimmers, "Go ahead. I just love to have my nails cut." 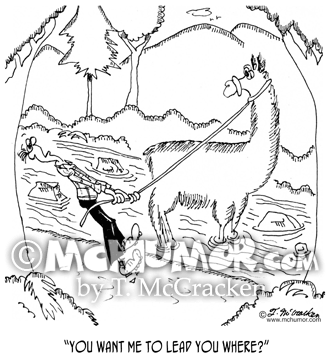 Llama Cartoon 7142: A man says to a llama puling him towards creek, "You want me to lead you where?" 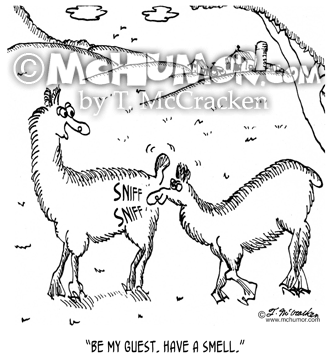 Llama Cartoon 7141: As two llamas spitting into the air one says, "My spit smells worse." and the other says, "No. My spit smells worse." Llama Cartoon 7139: Llama to another sniffing his rear, "Be my guest. Have a smell." 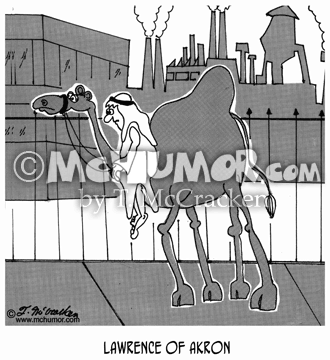 Industry Cartoon 5197: "Lawrence of Akron." Lawrence of Arabia rides a camel through an industrial complex. 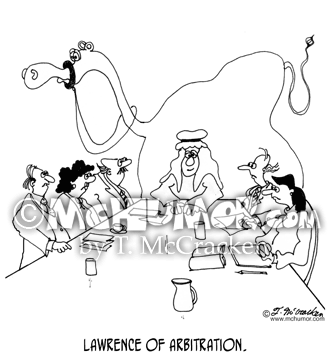 Arbitration Cartoon 5307: "Lawrence of Arbitration." Lawrence of Arabia on a camel sits at a conference table.